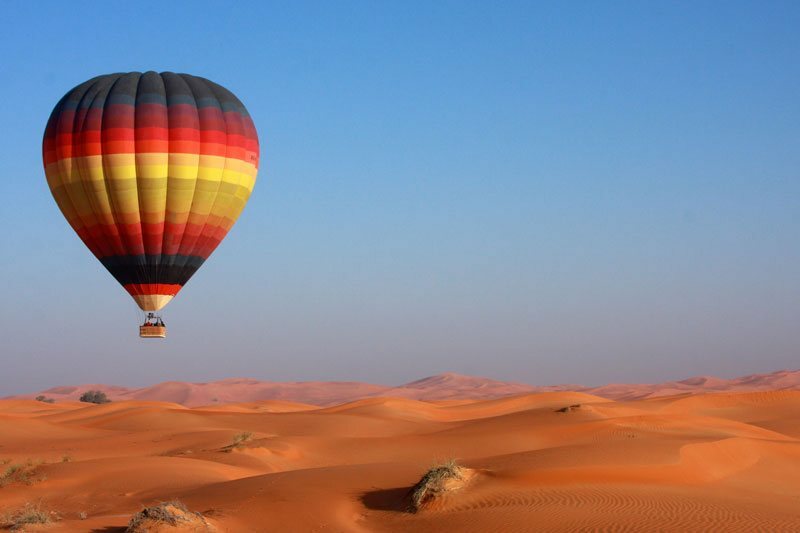 Dubai Budget Balloons offers you the cheapest Hot Air Balloon Rides in Dubai. With high-quality experiences for low prices, this is the ultimate value for money deal! 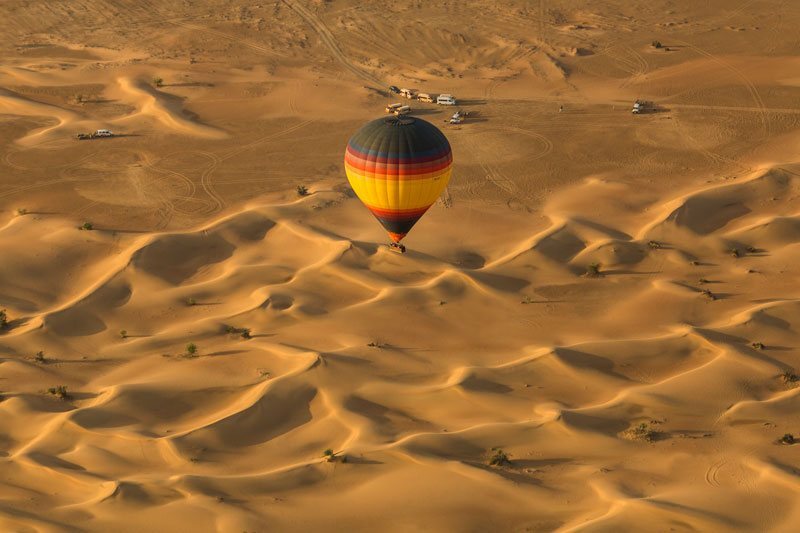 This bucket list activity takes you on a spectacular hot air balloon ride over the Dubai Desert!  With Dubai Budget Balloons, experience the best value budget balloon flight in Dubai! 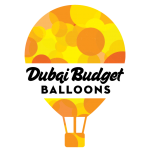 We are cheap, but there is nothing nasty about the quality experience we provide. The meeting points are at the Rove Hotel Downtown Dubai or the Outlet Mall for complimentary transfers and direct transfers can be arranged for an additional fee. 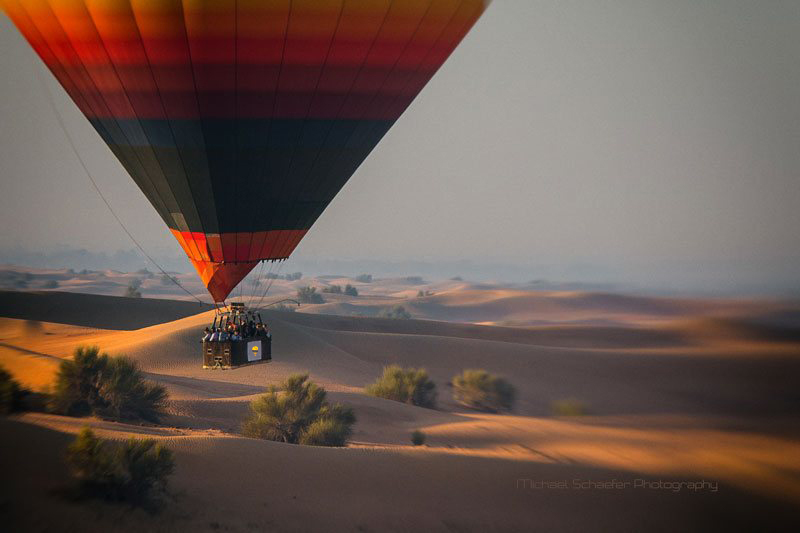 Reach the take-off site set amongst the dunes in under an hour for the adventure of a lifetime! 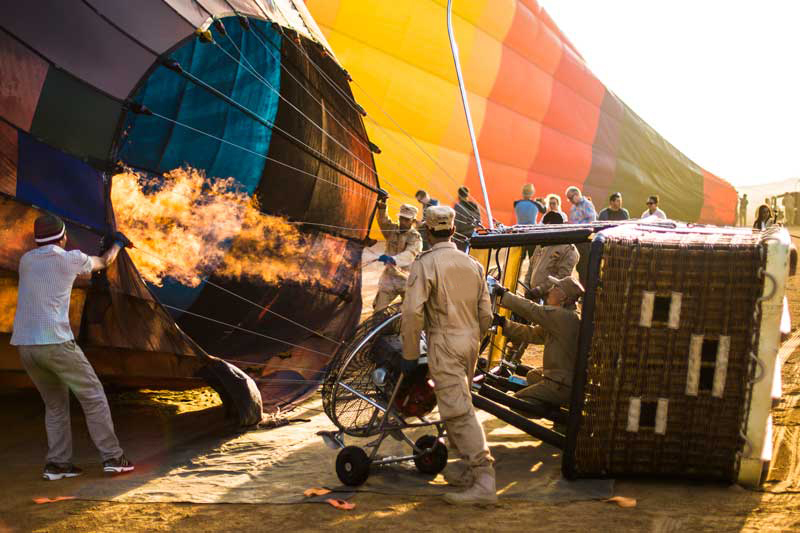 Watch in awe as one of the world’s largest hot air balloons is inflated before you, with huge blasts from the powerful burners. 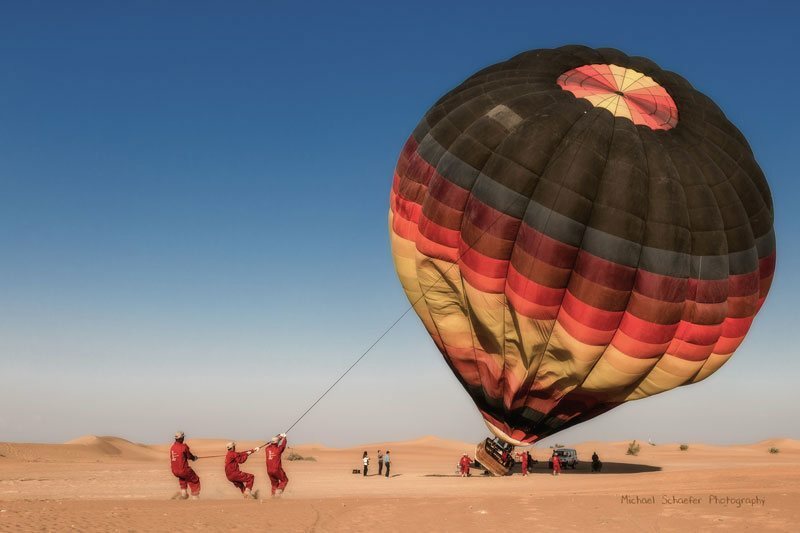 We take your safety extremely seriously, so we only employ the world’s most experienced, European Union and UAE licensed Pilots who will put you at ease during a pre-flight safety briefing and will show you exactly what is expected for a safe and fun flight. 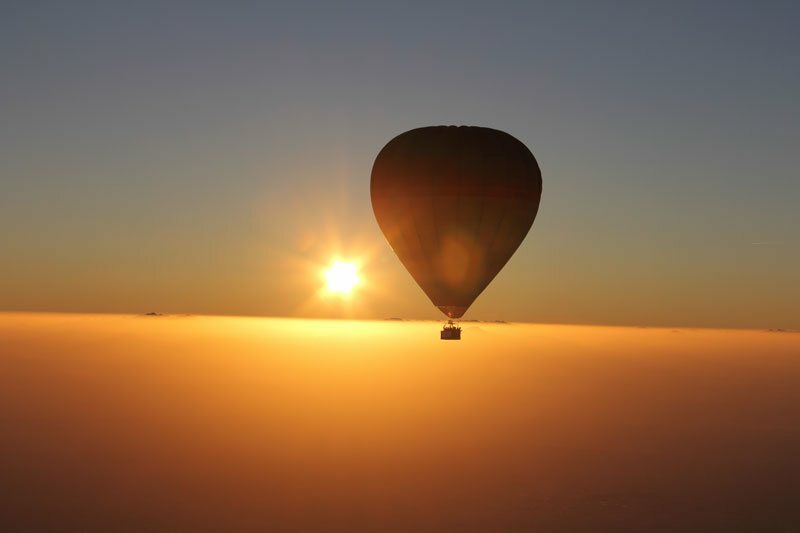 Once the balloon inflates, get ready to jump in! 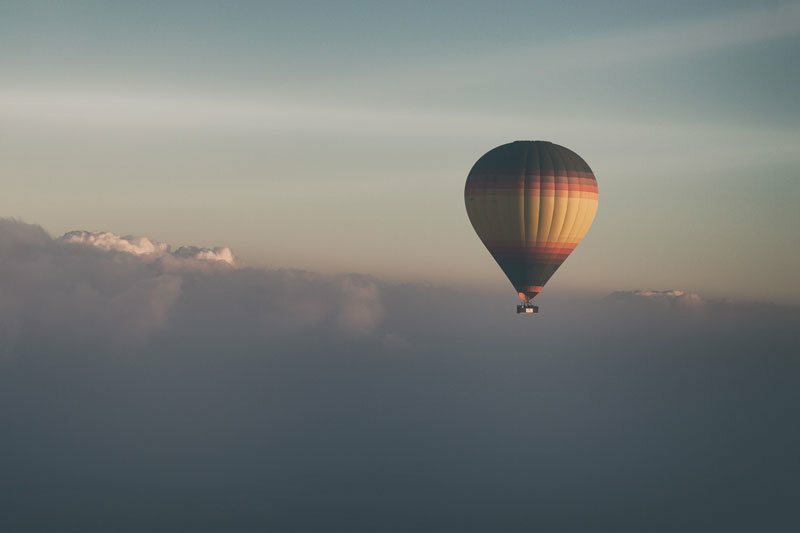 Gently float to 4,000ft where you will be welcomed with the tranquil sound of silence and a spectacular view of the sunrise over the Hajar Mountains. 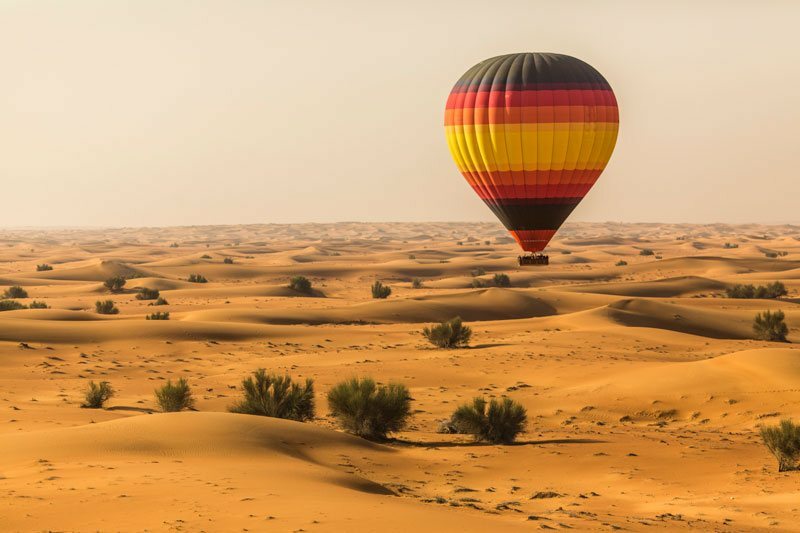 As the sun rises higher, various colours of sand and shadows will spread across the sand dunes creating a spectacular backdrop to create lasting memories and amazing photos! 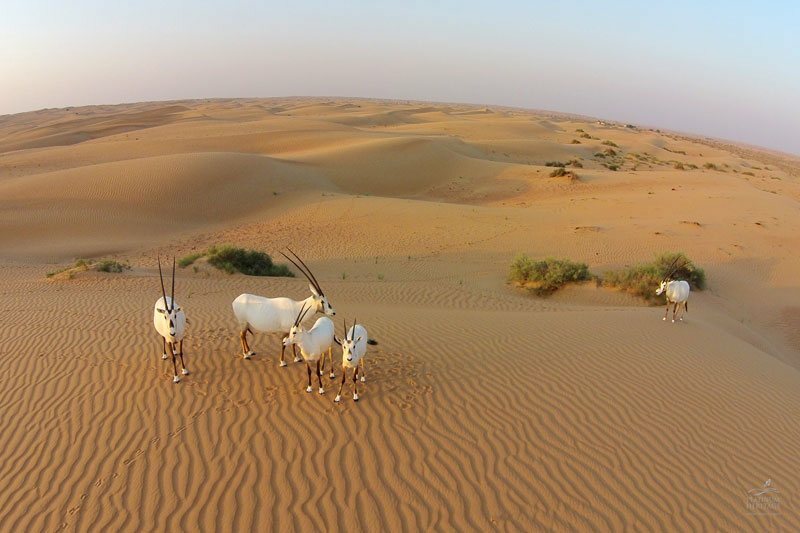 As you float over the Dubai desert, spot Arabian Oryx, grazing camels, herds of gazelle and other wildlife that are indigenous to the area. After your adventure, enjoy a light breakfast at the landing spot. 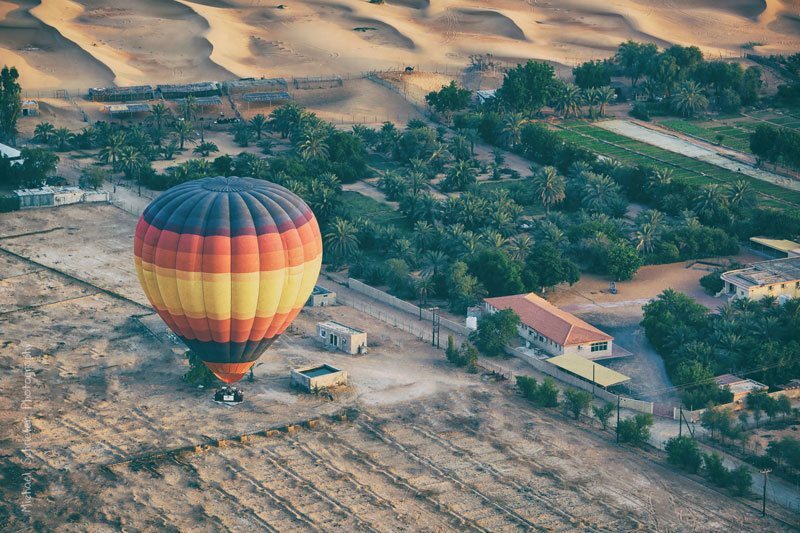 Before returning to the meeting points in Dubai, you will receive a flight certificate signed by our Chief Pilot as a sentimental memento to remember this fantastic experience by. 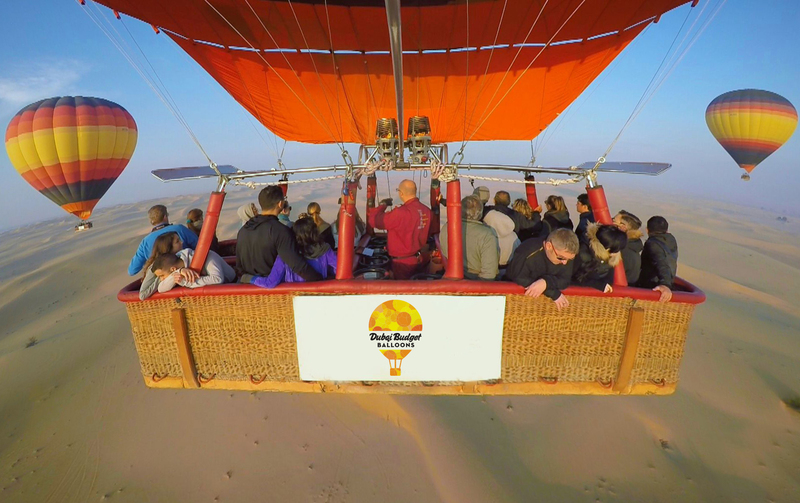 With strict safety measures and the most experienced pilots in the world, this low-cost hot air balloon ride is extremely good value for money. Complimentary pickups are every morning from Rove Hotel Downtown or the Outlet mall. The pickup time is dependent on the sunrise so changes throughout the season. It will be between 4.30am- 5.30am and you will be advised when booking. 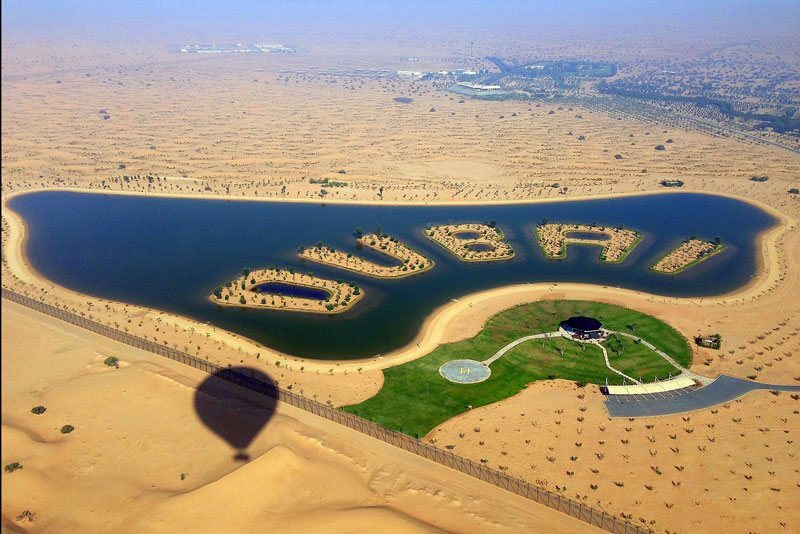 We can arrange direct pickup and transfers from your hotel for AED150.